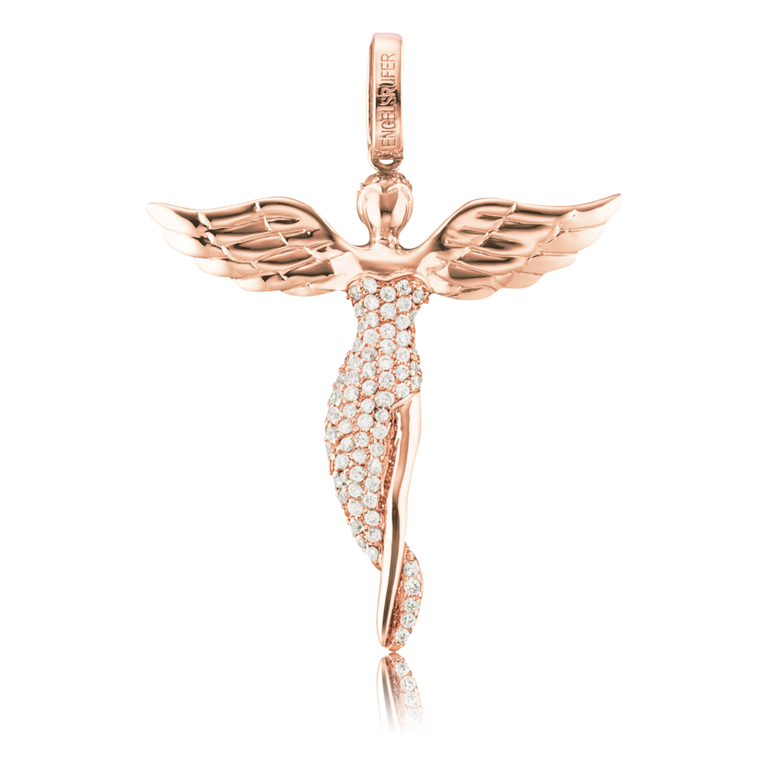 Our angel feminine rose gold colored angel is accompanying you through the day. The angel pendant spreads its wings protectively and is elaborated to the smallest detail. Its shimmering garment is lovingly set with sparkling white synth. zirconia stones imparting it elegance and grace. The pendant is made of 925 sterling silver 18K rose plated.